Edward Inman Curry, III, is an AV rated attorney and member of the firm. Ed is the firm’s managing member. His insurance defense litigation practice has included the representation of a number of Fortune 500 companies in the areas of insurance coverage disputes, construction defect claims, rental car company liability, premises liability and product related claims. He has served as an author, lecturer and faculty member for NBI and other organizations on topics and issues related to the recognition, preparation and presentation of construction claims in mediation, arbitration and litigation, ethical considerations in construction law and multi-state insurance coverage issues related to rental car company liabilities. Edward is licensed to practice in all state, federal and appellate courts in Tennessee as well as the Sixth Circuit Court of Appeals. 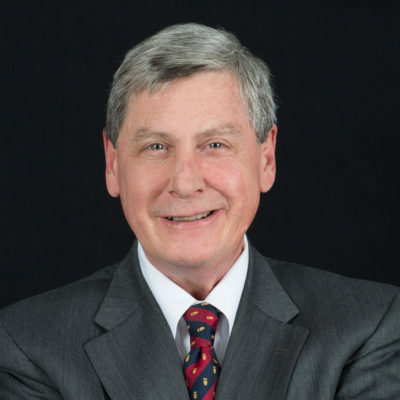 He is a member of the American Bar Association, Torts and Insurance Practice, the Tennessee Bar Association, the Memphis and Shelby County Bar Association, the Defense Research Institute and listed in Best’s Insurance Counsel. Edward is a Robert E. Lee Scholar and Honors Graduate of Washington and Lee University where he was a member of the Sigma Chi fraternity. He served as Chairman of the Arizona delegation for the 1980 Mock Convention, was a board member of the Young Republicans and interned with the Republican National Committee in Washington, D.C. After graduating from Washington and Lee, Edward worked as a management consultant for an industrial/organizational psychology firm conducting training seminars for senior management primarily in the chemical and utilities industries. He is a graduate of the University of Memphis Law School having received his Juris Doctorate in 1984. While in law school, Edward was active in Phi Alpha Delta, Moot Court and the Quattuore Society.